This is what I wish I was saying! Instead I am up doing hair at this God awful hour, it’s 10:23 PM CST. 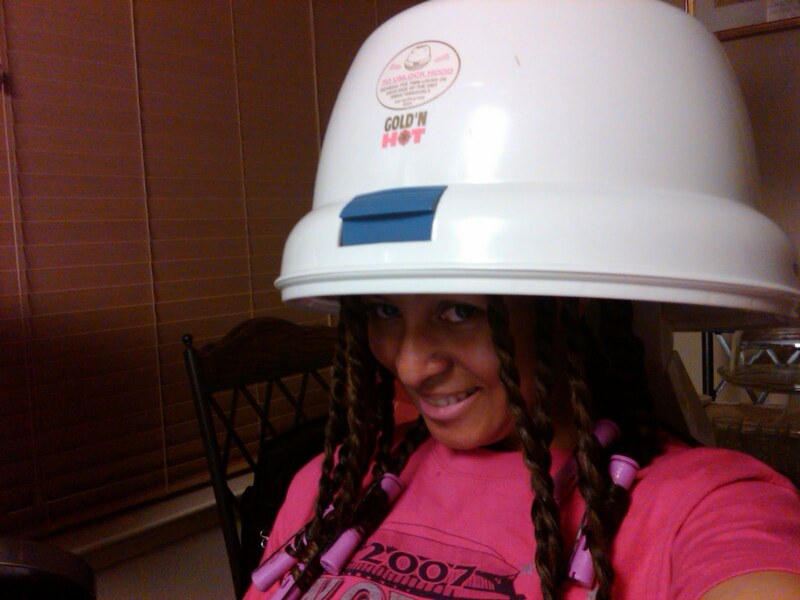 I just sat under the dryer @ 10 PM. I know, but I had to do something to this head. Here is a funny picture to prove it. In other news, I got up this morning and got my Jillian Michaels’ 30-Day Shred in! 4 down, 26 to go. I have got to kick it up a notch because we’ve just about decided where we will be going for our 1st year Wedding Anniversary and I want to look good! I also turned my Crock Pot on this morning before heading in to the office. When I opened the door this evening to come into the house, the Slow-Cooked Chicken and Dumplings greeted me and it was delish! Pray for me! Miracles & Blessings! This entry was posted in Cooking, Exercise, Hair. Bookmark the permalink.